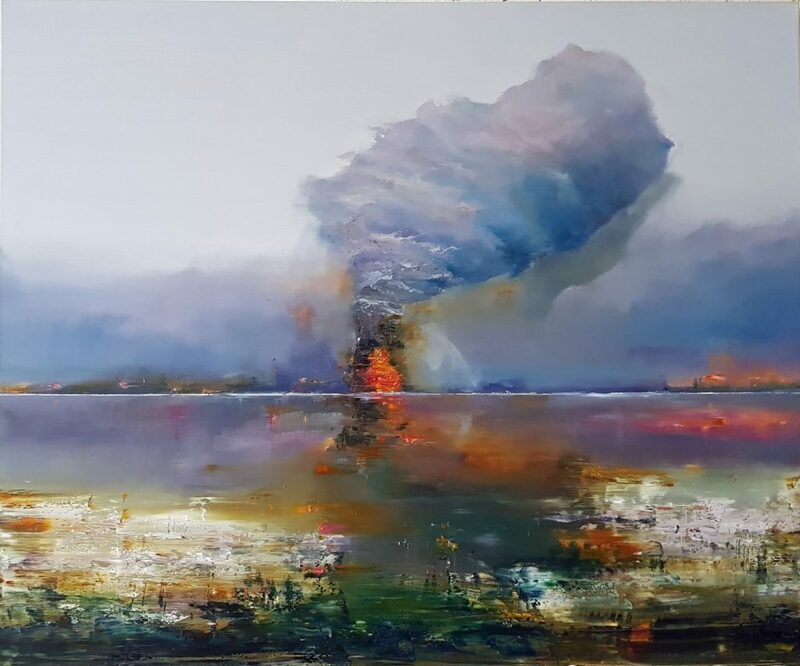 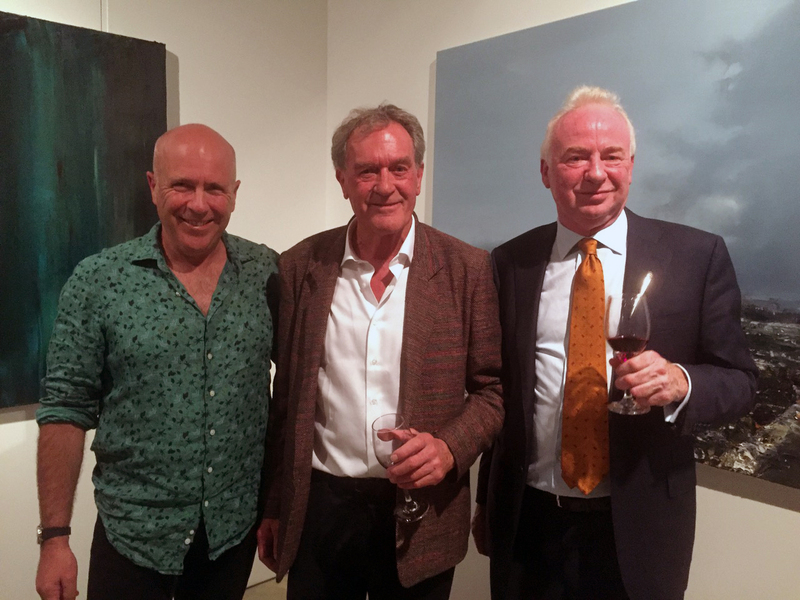 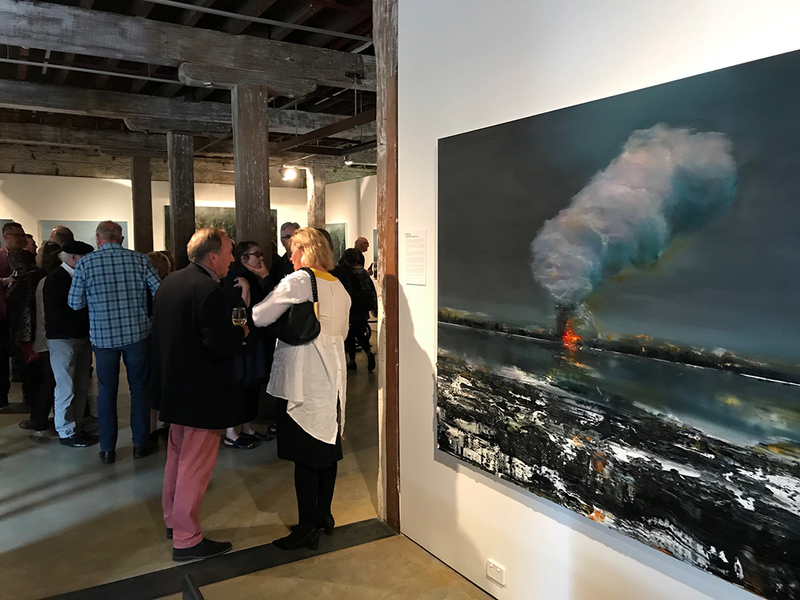 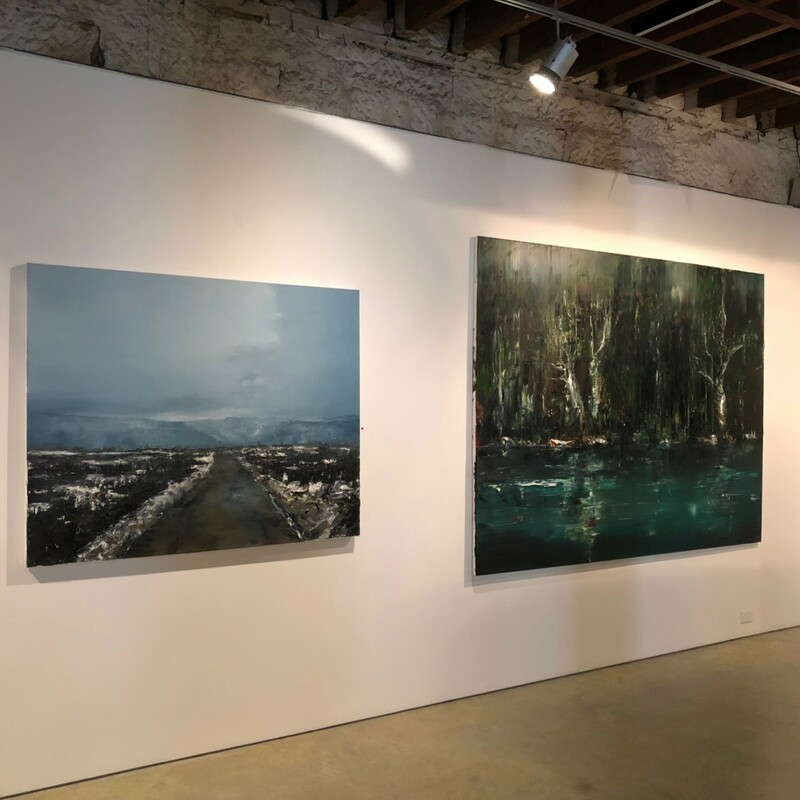 Arguably Tasmania’s most prominent landscape painter, Geoff Dyer became nationally known after winning the 2003 Archibald Prize with his powerful portrait of Tasmanian environmentalist, writer and friend, Richard Flanagan. 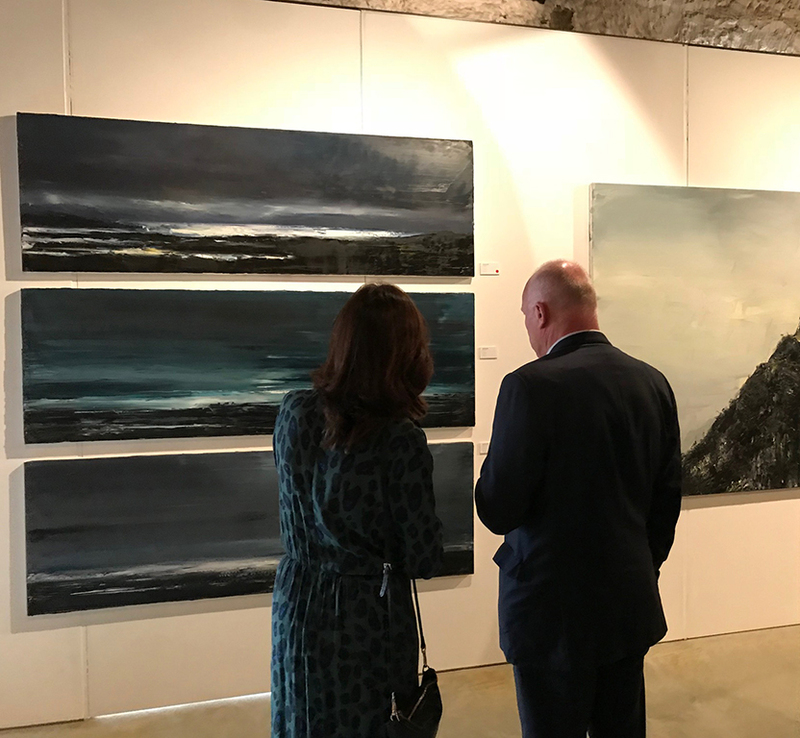 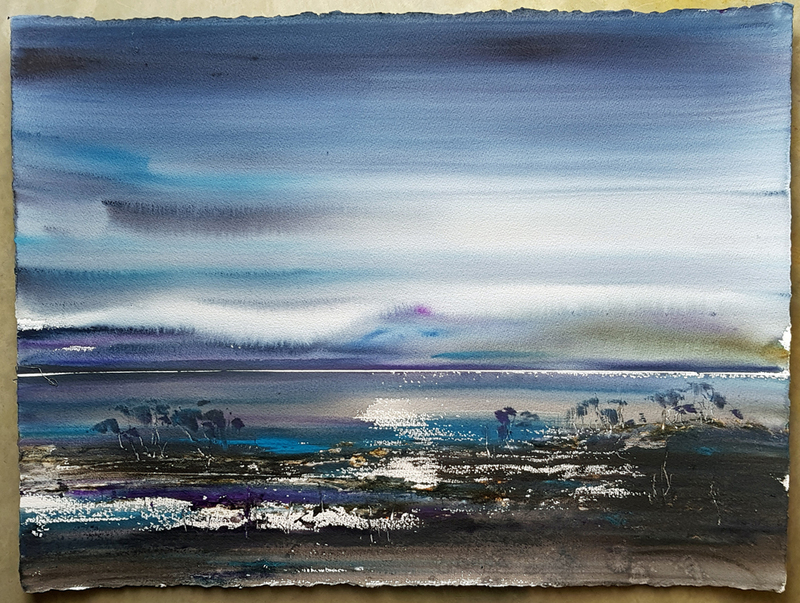 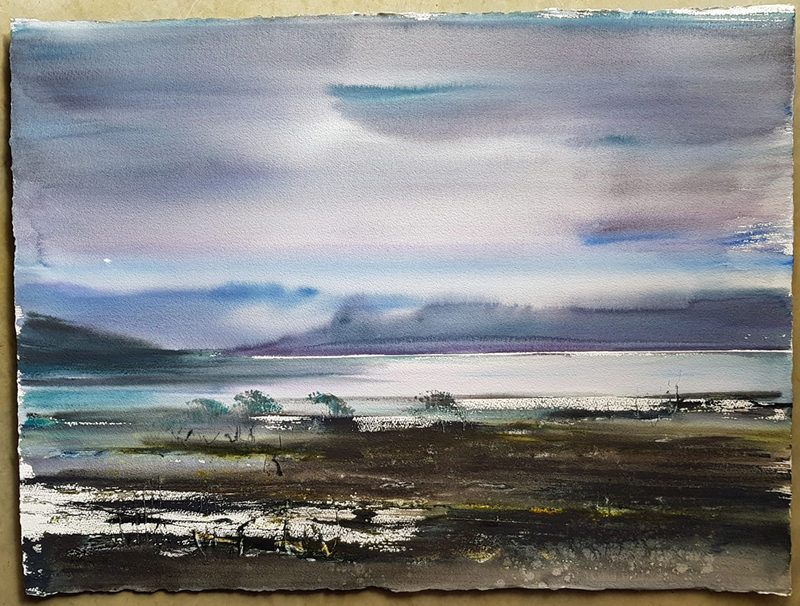 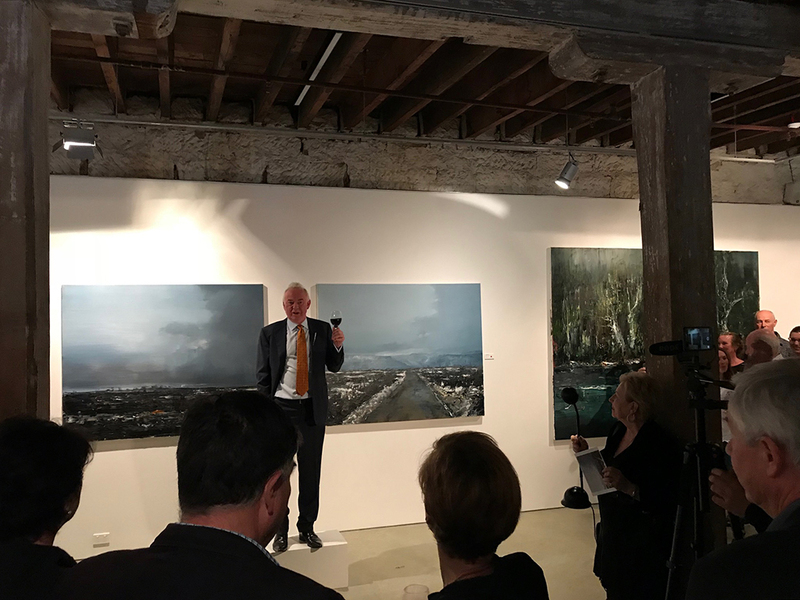 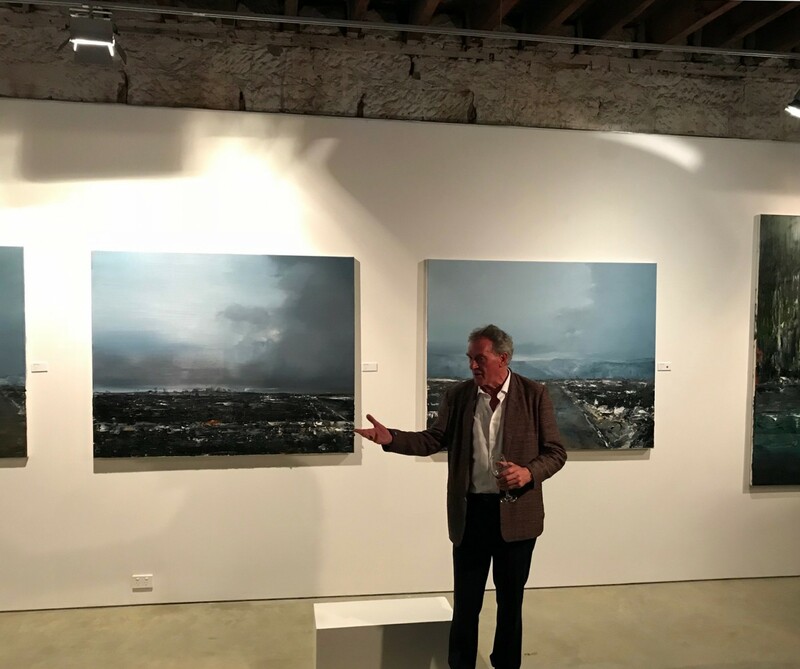 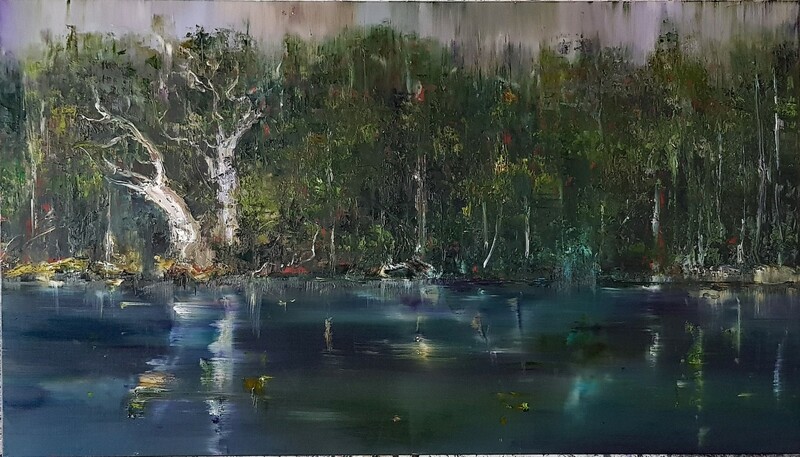 Geoff’s expressive landscape paintings reflect Tasmania’s unique environment and are an important part of our cultural history. 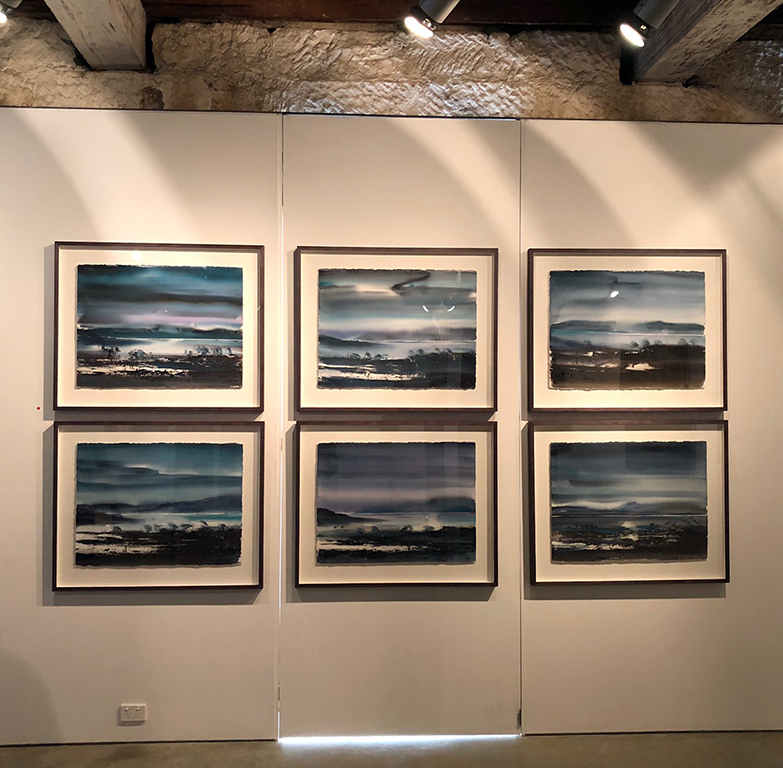 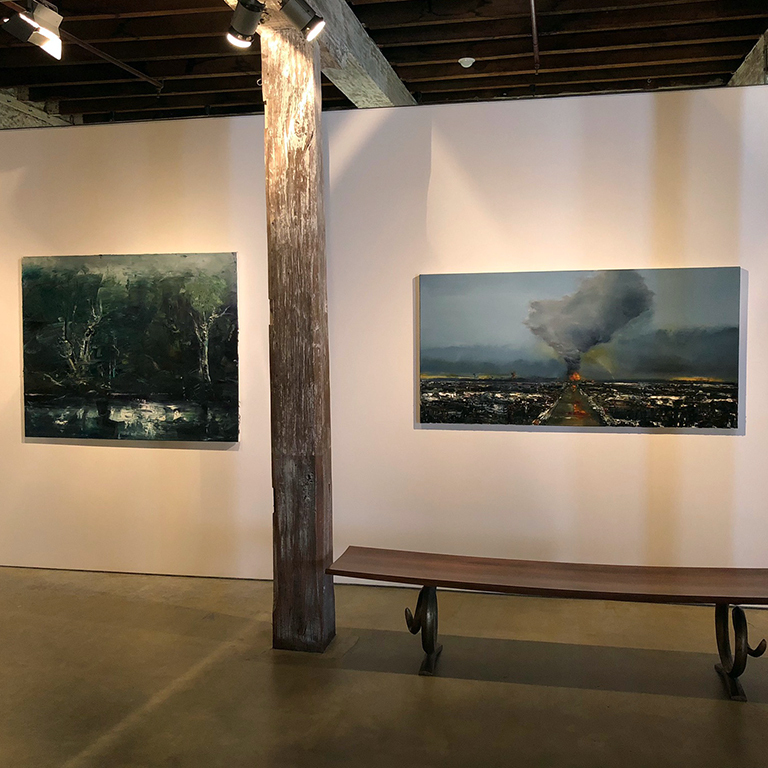 Dyer has exhibited throughout Australia and internationally over the last 40 years, including shows in Singapore, Guangdong and New York. 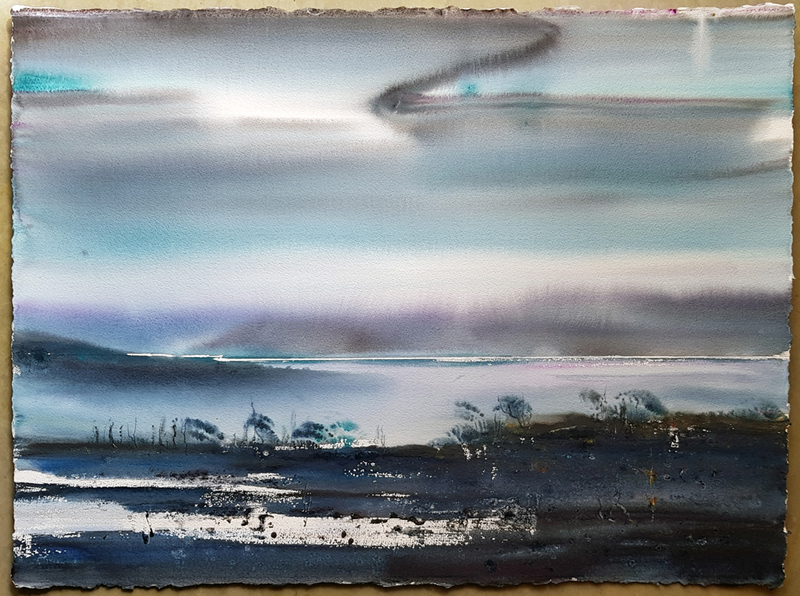 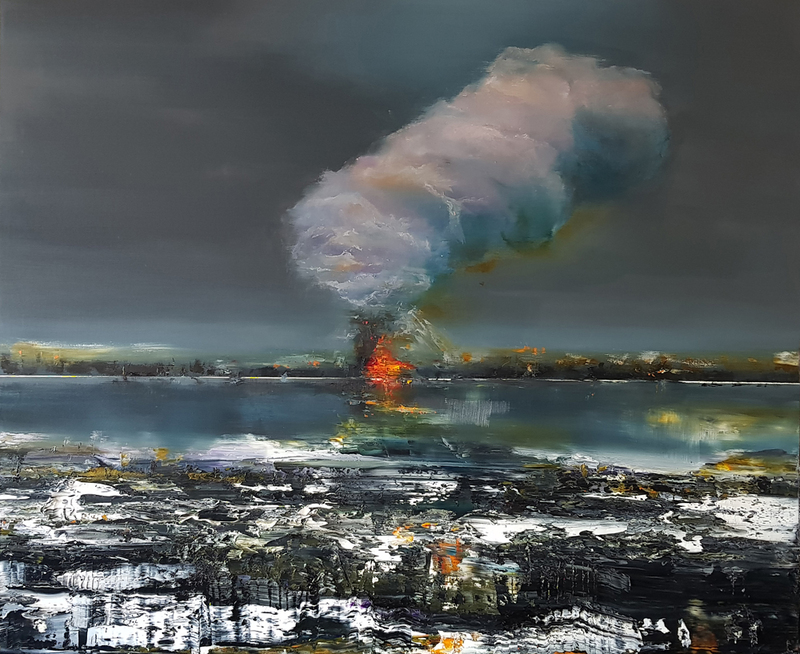 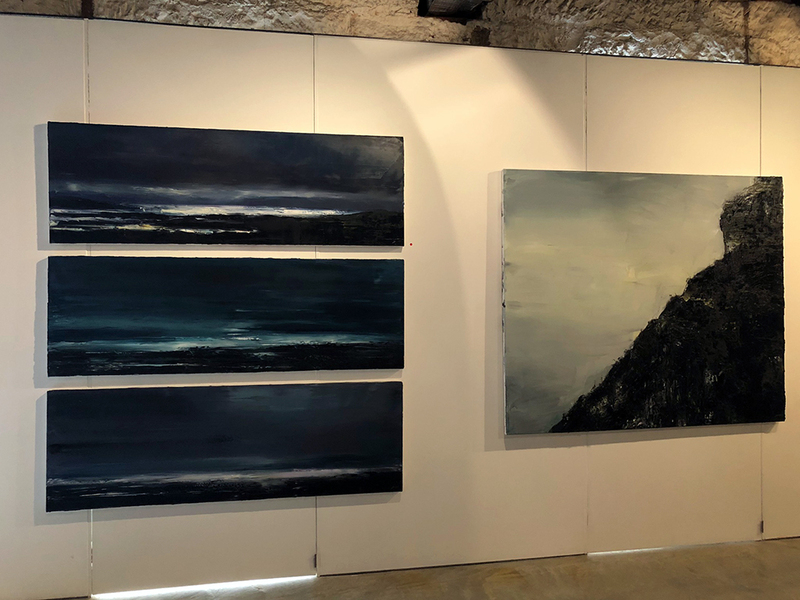 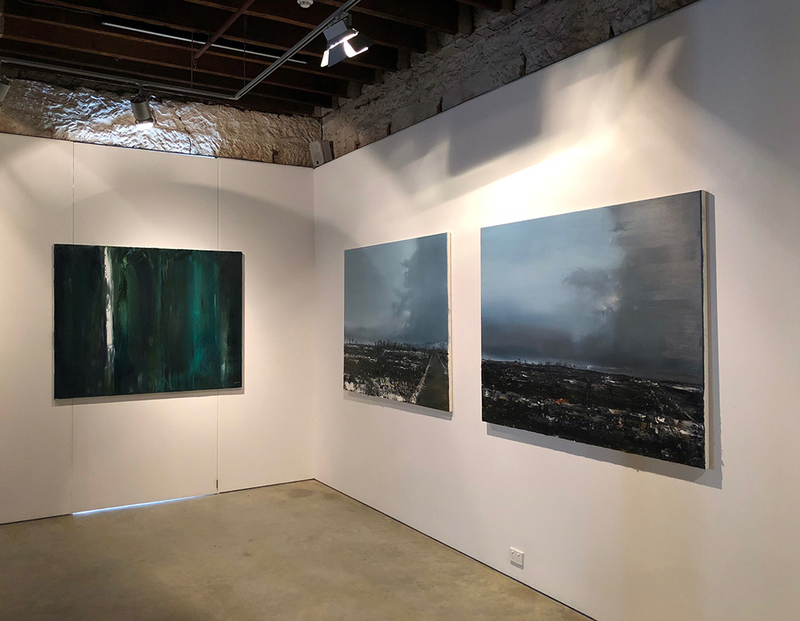 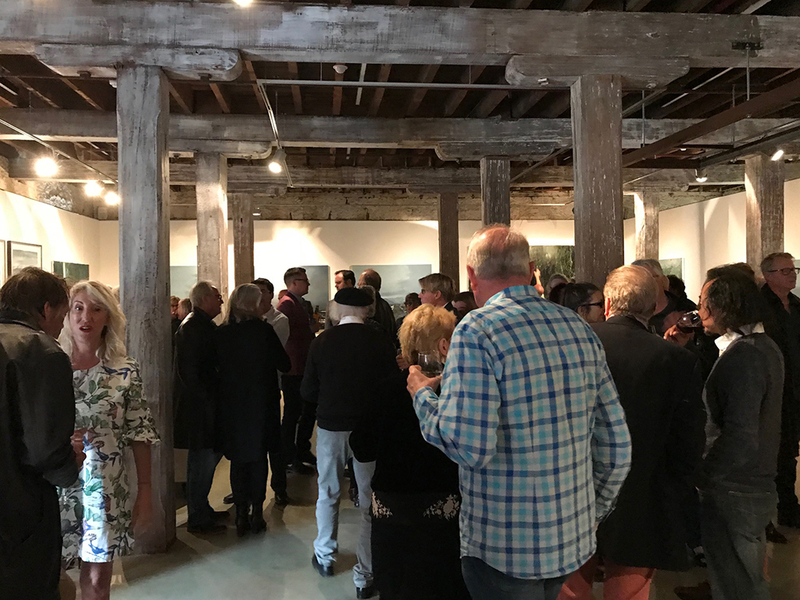 “Geoff and I have worked together for the past seventeen years, this is his seventh solo exhibition in Hobart with Despard. 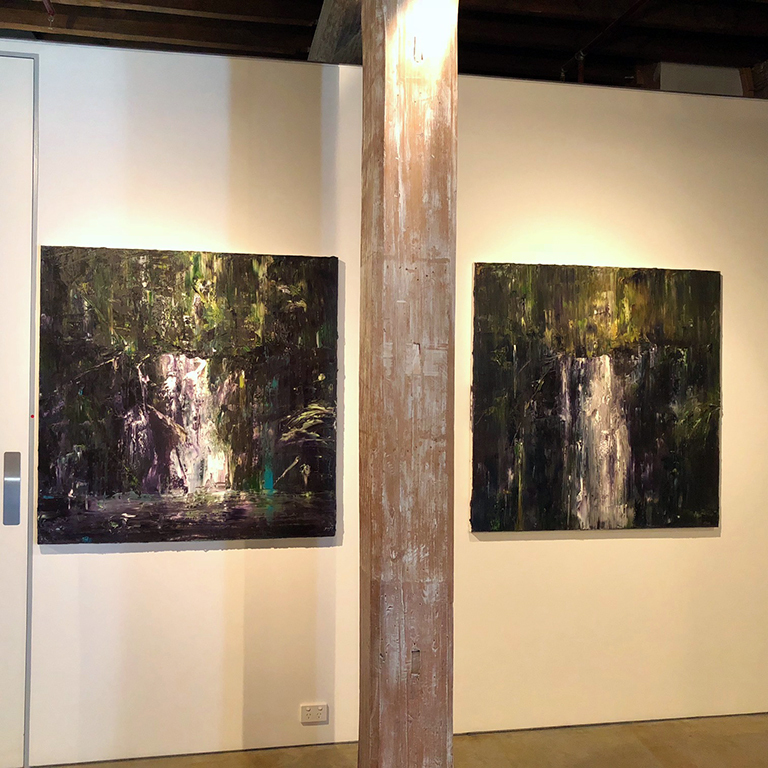 I have taken his paintings to at least twenty art fairs around Australia and twice to the US. 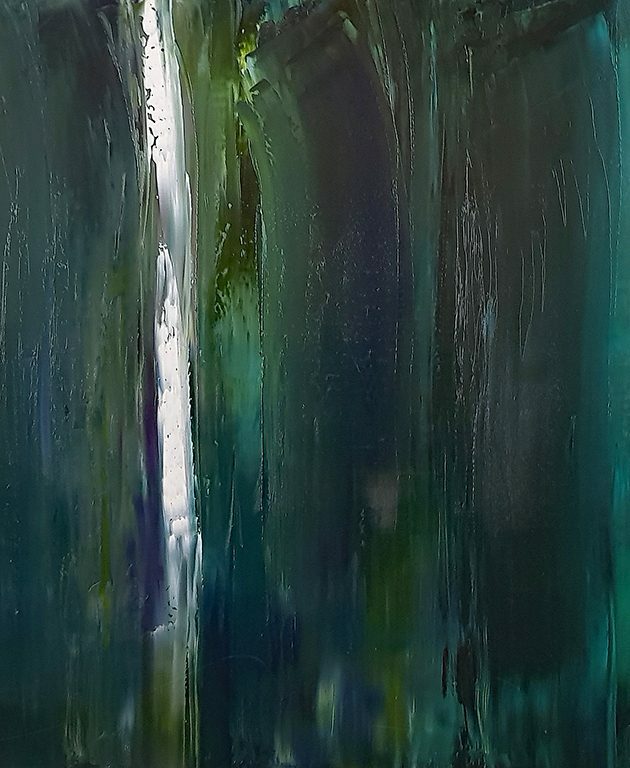 We have a good understanding of what is expected of each other. 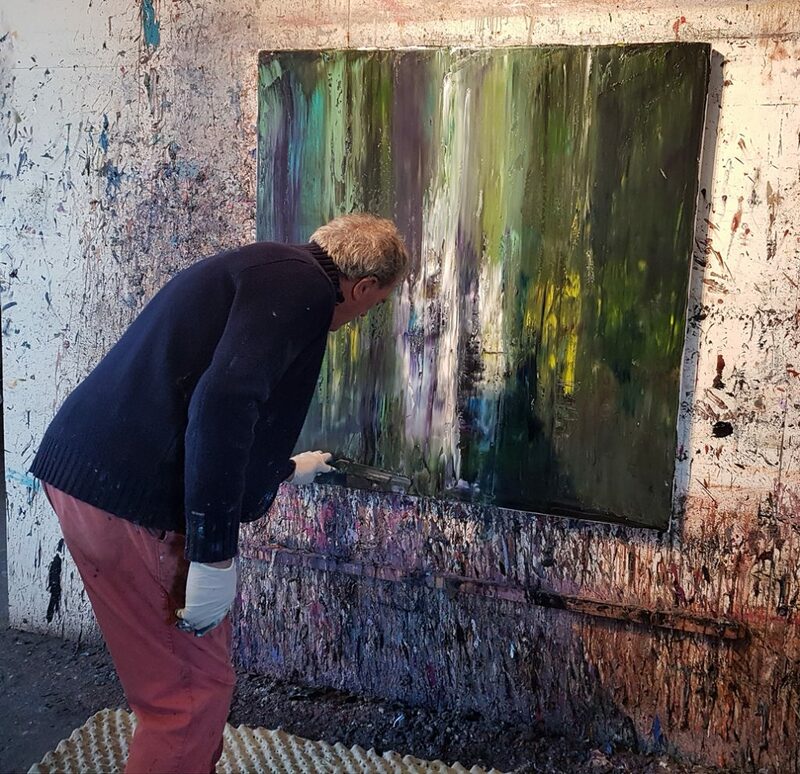 Studio visits over recent months have reinforced my understanding and appreciation of how much Geoff puts into his work both physically and emotionally. 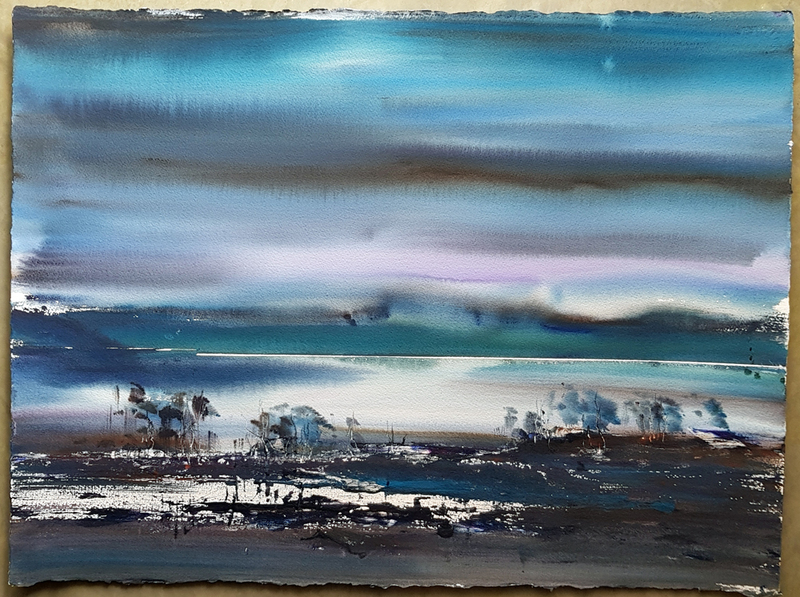 Once a new canvas is started, he is compelled to work it until he is happy. I have seen Geoff after an 8-hour session on a major 6 x 8 (painting from the shoulder) drained, but satisfied …until the next one. 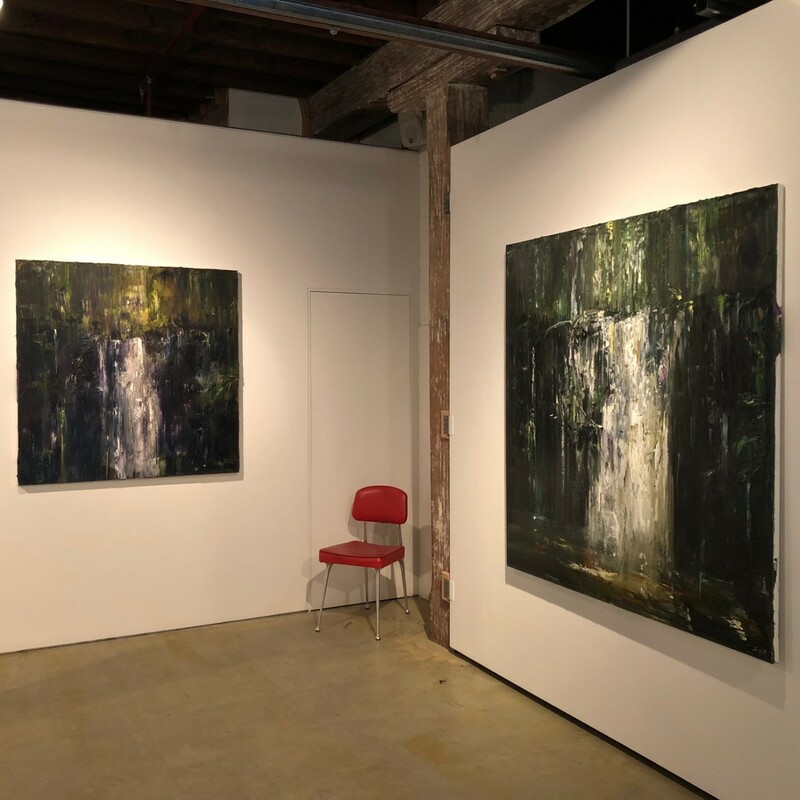 I view this exhibition as a collective of suites; the Hogarth Falls near Strahan, Lake Pedder and Strathgordon oils balanced by the block of watercolours – classic Dyer. 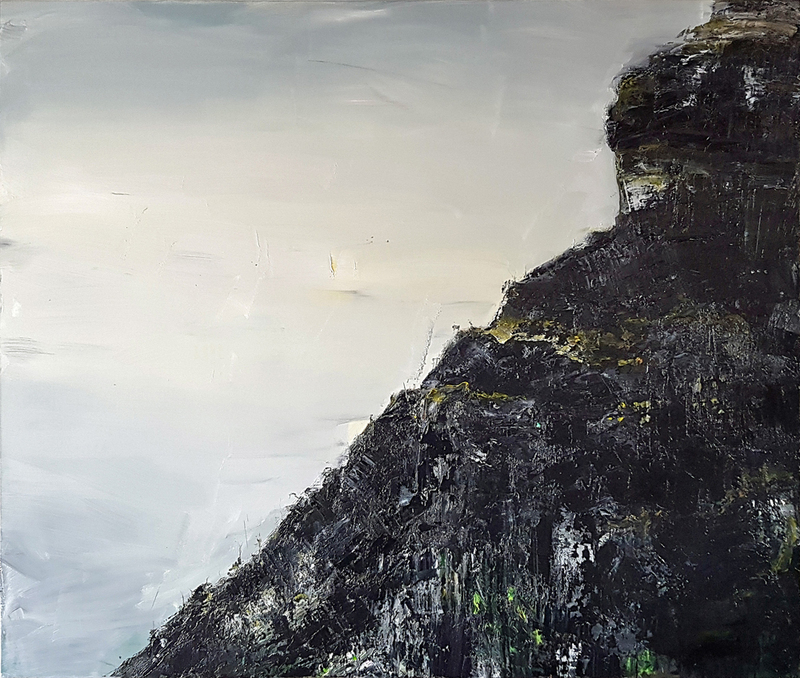 In September this year, a day trip to Mt. 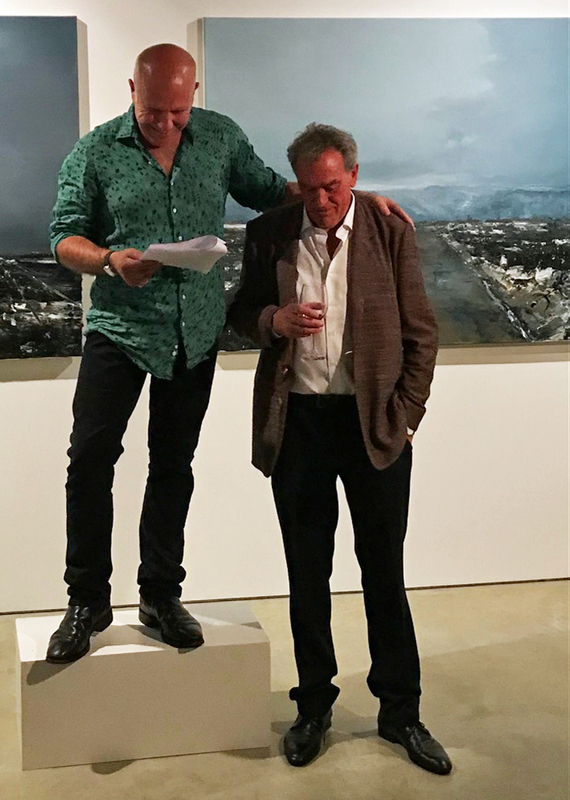 Field was planned with a close friend. 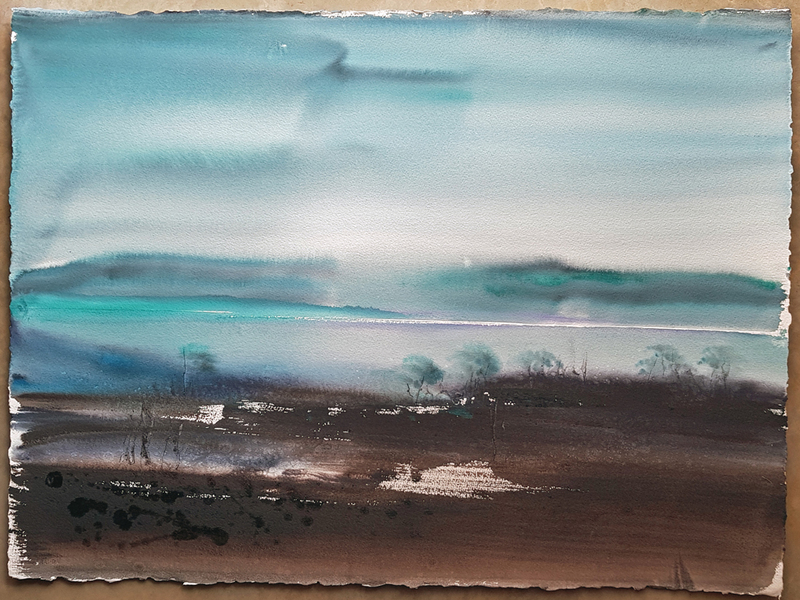 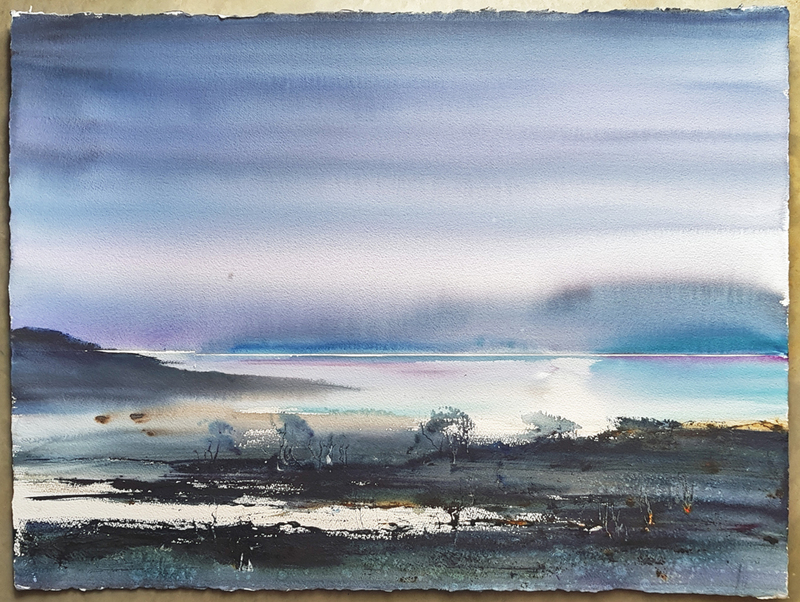 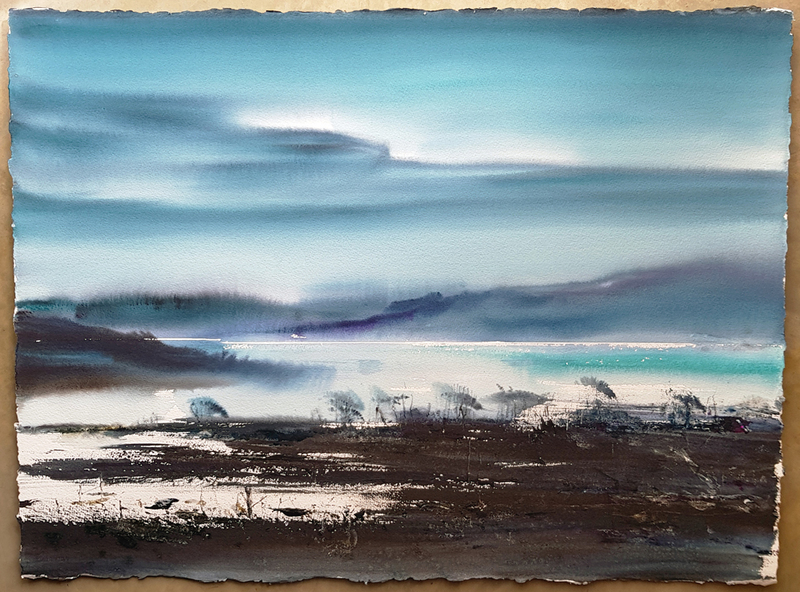 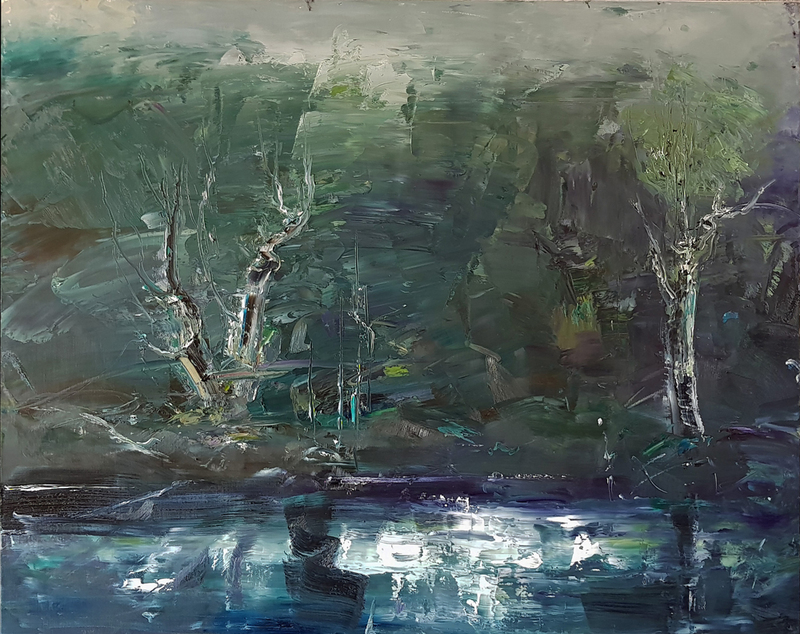 This journey inspired six powerful, evocative oils (we had a big dump of snow in the highlands a couple of days before), looking at these works now I feel like I am in the passenger seat heading towards Mt. 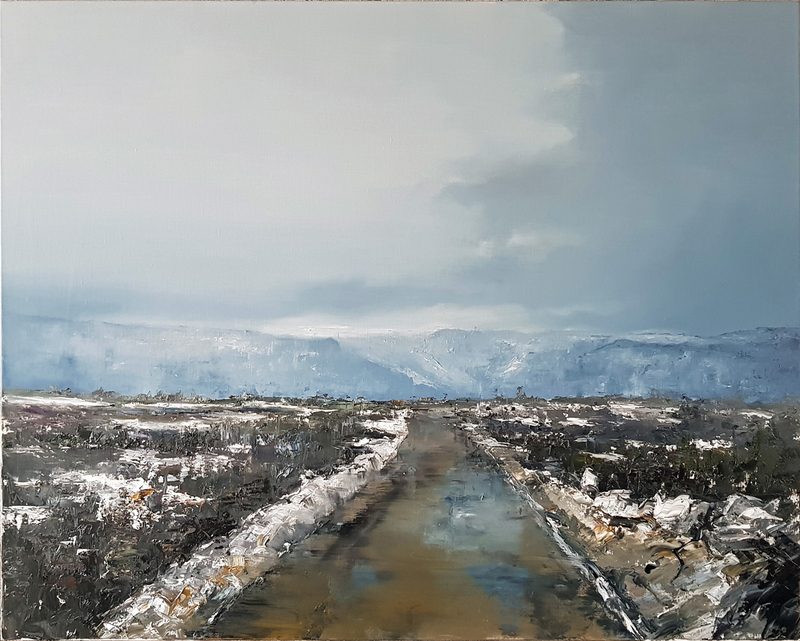 Dobson and the ominous snow clouds. 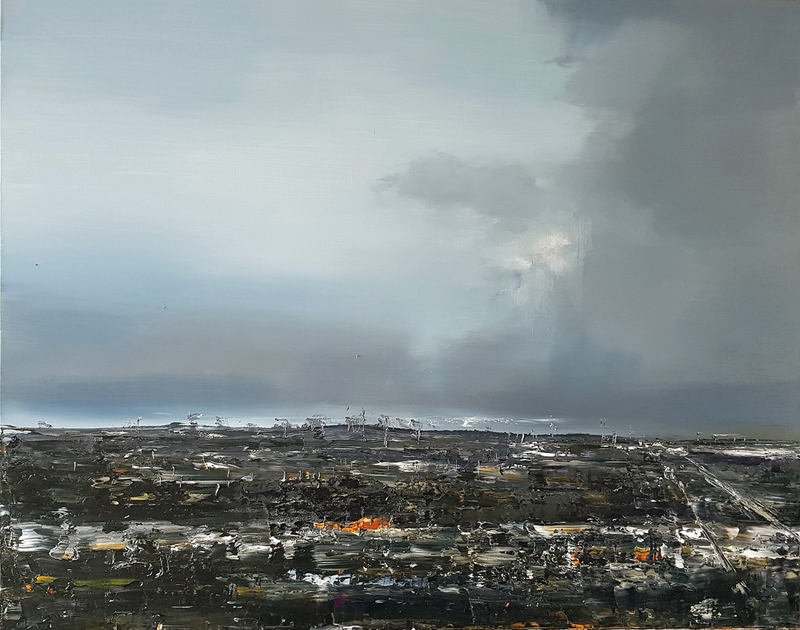 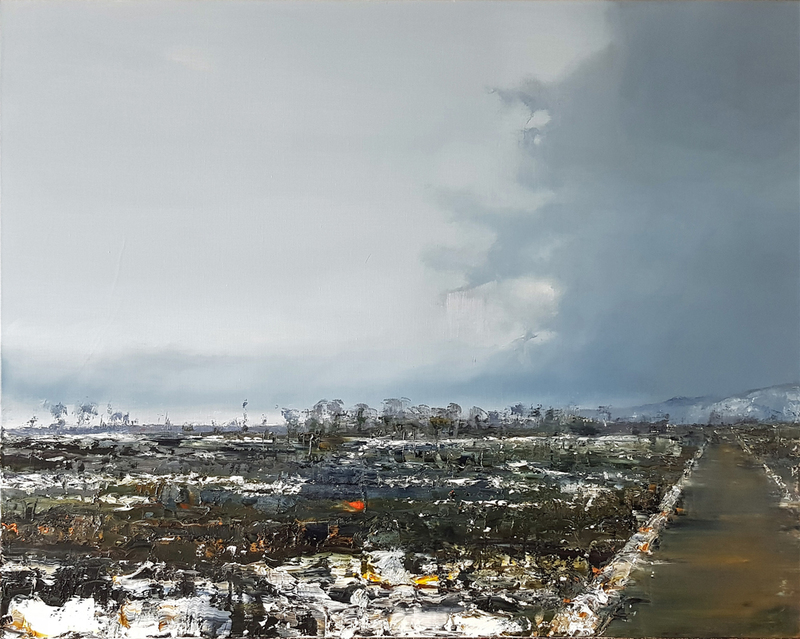 Download the full catalogue (pdf) Geoff Dyer | Recent Paintings 2017 | Catalogue | Here |and see priced images below. 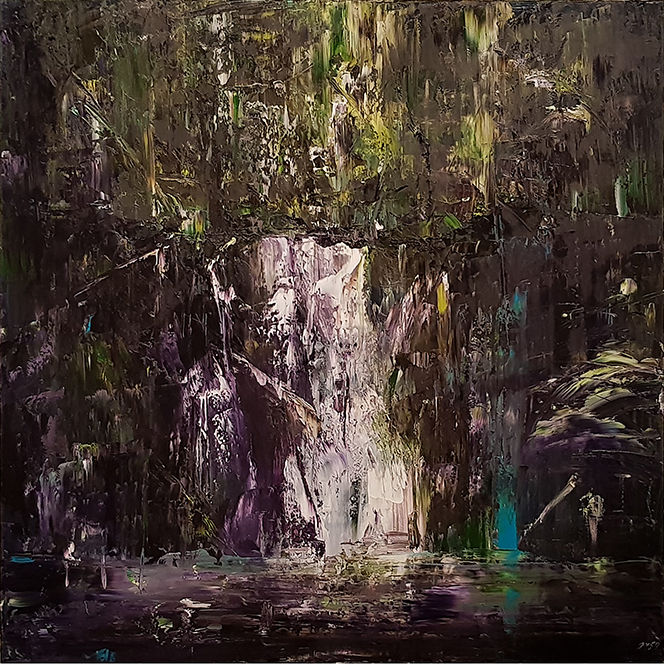 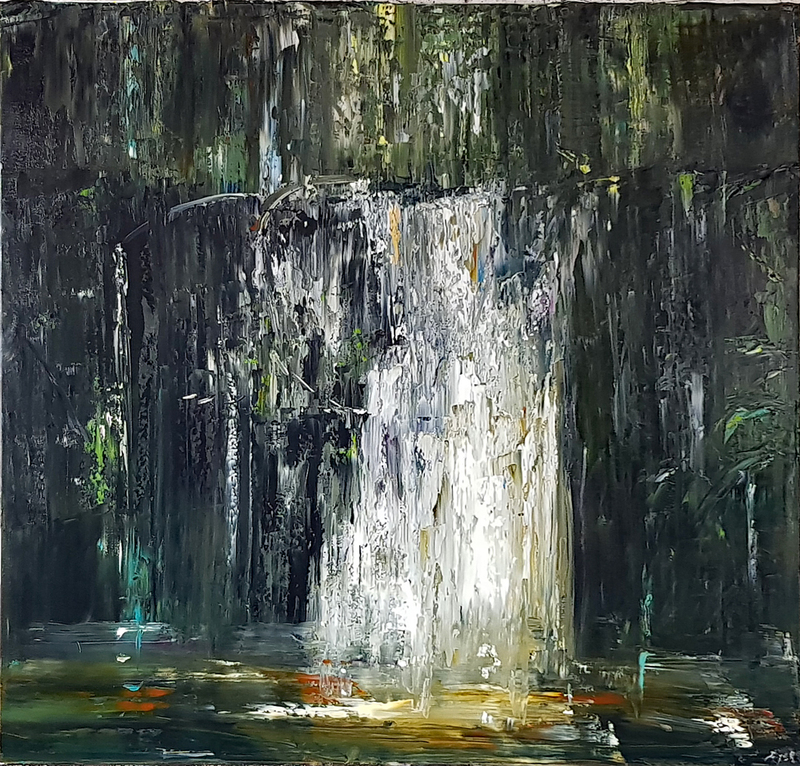 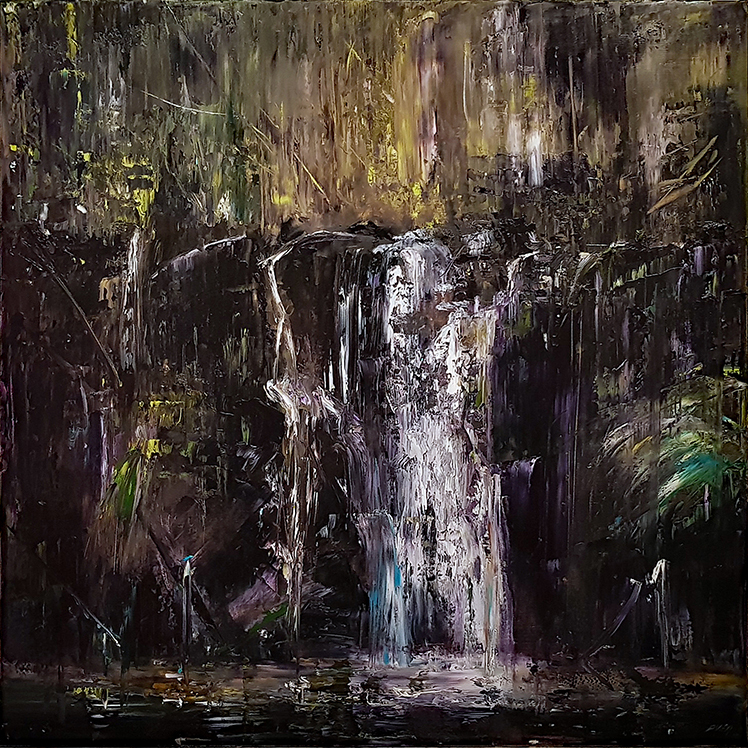 View a short video of Geoff in his studio painting Hogarth Waterfall CLICK HERE! 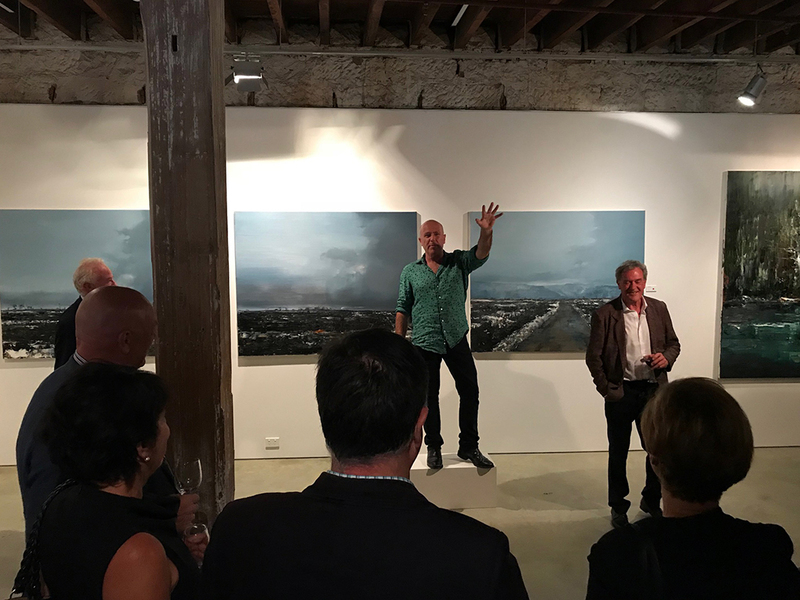 Richard Flanagan with Geoff Dyer; Richard opened the exhibition with a deeply poignant and emotive speech.